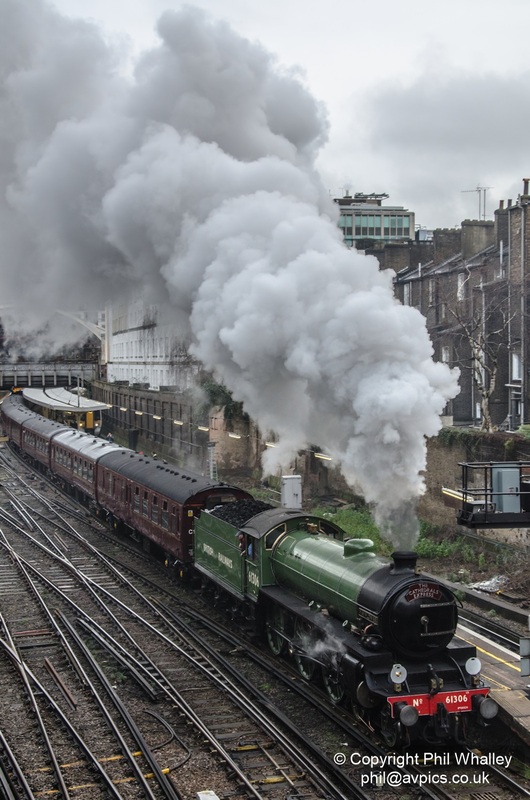 Two steam specials departed London mainline stations early on Saturday morning. 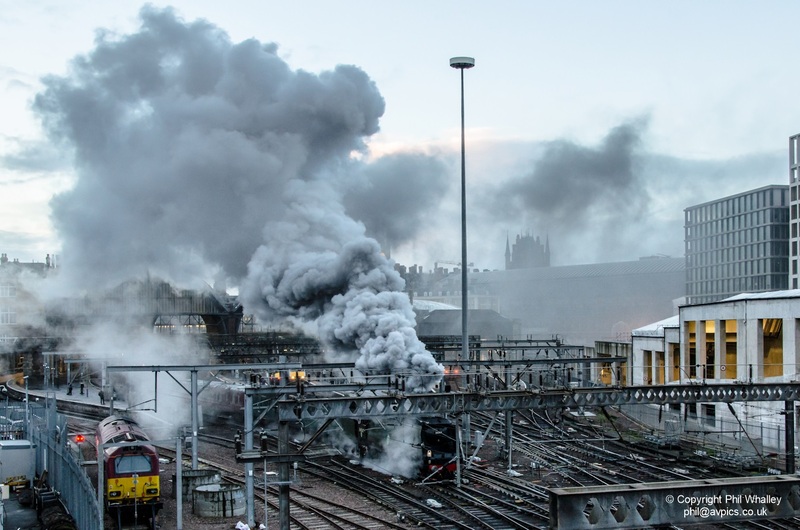 Battle of Britain Class locomotive 34067 ‘Tangmere’ left Kings Cross just after seven am pulling ‘The Valentines White Rose’ tour and heading north to the city of York, sending plumes of smoke into the cold dawn sky. Just after nine LNER B1 Class locomotive 61306 ‘Mayflower’ departed London Victoria bound for the south coast on a circular tour with ‘The Cathedrals Express’. Steam hauled passenger trains have become a popular attraction running throughout the UK rail network.